These Terms of Service shall be governed by and construed in accordance with the laws of the State of New Jersey, without giving effect to principles of conflicts of law. You and the Company each agree that any action at law or in equity arising out of or relating to these Terms of Service will be filed only in the state or federal courts in and for Camden County, New Jersey, and hereby consent and submit to the personal and exclusive jurisdiction of such courts for the purposes of litigating any such action. The Company cannot control all Content posted by third parties to the Service, and does not guarantee the accuracy, integrity or quality of such Content. You understand that by using the Service you may be exposed to Content that you may find offensive, indecent, incorrect or objectionable, and you agree that under no circumstances will the Company be liable in any way for any Content, including any errors or omissions in any Content, or any loss or damage of any kind incurred as a result of your use of any Content. You understand that you must evaluate and bear all risks associated with the use of any Content, including any reliance on the content, integrity, and accuracy of such Content. If you would like to report objectionable materials, you may use the “Flag for review” feature on any topic or reply. Urgent issues can be reported to support [at] Workpulse [dot] com. Representations and Warranties. Without limiting any other representation, warranty or covenant herein, each party hereby represents and warrants to the other party that: (a) it has the full right, power and authority to enter into this Agreement; (b) this Agreement is a valid and binding obligation of such party; and ? it has obtained and shall maintain throughout the term of this Agreement all necessary licenses, authorizations, approvals and consents to enter into and perform its obligations hereunder in compliance with all applicable laws, rules and regulations. 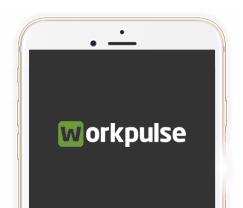 Workpulse Warranties; Disclaimers. Workpulse hereby represent and warrants that neither the Service nor use of the Workpulse Platform as contemplated herein will infringe on the rights of any third parties or violate any applicable laws or regulations, including, without limitation copyright, trademark and patent laws. UNLESS EXPRESSLY SET FORTH IN THIS AGREEMENT, WORKPULSE MAKES NO WARRANTY, EXPRESS OR IMPLIED, WITH RESPECT TO ANY MATTER, INCLUDING WITHOUT LIMITATION ADVERTISING AND OTHER SERVICES, AND EXPRESSLY DISCLAIMS THE IMPLIED WARRANTIES OR CONDITIONS OF NONINFRINGEMENT, MERCHANTABILITY AND FITNESS FOR ANY PARTICULAR PURPOSE. WORKPULSE DOES NOT WARRANT THE RESULTS OF — USE OF THE SERVICE, AND ACCOUNT HOLDER ASSUMES ALL RISK AND RESPONSIBILITY WITH RESPECT THERETO. Limitation of Liability and Damages. UNDER NO CIRCUMSTANCES, INCLUDING, BUT NOT LIMITED TO, NEGLIGENCE, SYSTEM FAILURE OR NETWORK OUTAGE, WILL EITHER PARTY OR ITS AFFILIATES BE LIABLE FOR ANY SPECIAL, INDIRECT, INCIDENTAL, CONSEQUENTIAL, PUNITIVE, RELIANCE, OR EXEMPLARY DAMAGES THAT RESULT FROM THIS AGREEMENT, EVEN IF SUCH PARTY OR ITS AUTHORIZED REPRESENTATIVE HAS BEEN ADVISED OF THE POSSIBILITY OF SUCH DAMAGES. EXCEPT FOR THE INDEMNITY OBLIGATIONS SET FORTH HEREIN, IN NO EVENT WILL EITHER PARTY’S OR ITS AFFILIATES’ TOTAL LIABILITY TO THE OTHER PARTY FOR ALL DAMAGES, LOSSES, AND CA– USES OF ACTION ARISING OUT OF OR RELATING TO THIS AGREEMENT (WHETHER IN CONTRACT OR TORT, INCLUDING NEGLIGENCE, WARRANTY, OR OTHERWISE) EXCEED THE AMOUNTS PAID BY ACCOUNT HOLDER TO WORKPULSE HEREUNDER.